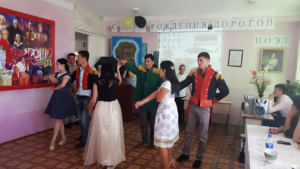 June 6, 2018 at the Faculty of Foreign Languages, the faculty of the Department of Methods of Teaching Russian Language and Literature and students held an event in honor of the 219th anniversary of the greatest Russian poet and writer, the founder of the new Russian literature, the creator of the Russian literary language, Alexander Pushkin. At the event, scenes from his works were demonstrated, his poems were heard. 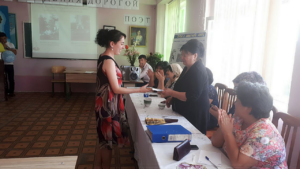 And at the end of the event, participants who knew Pushkin’s work were rewarded with gifts.